Americans use 4 million plastic bottles every hour, but only 25% of plastic bottles are recycled. A used aluminum can is recycled and back on the grocery shelf as a new can, in as little as 60 days. That's closed loop recycling at its finest! In the United States, the amount of steel that is discarded and not recycled every year is enough to build all the new American-made cars. 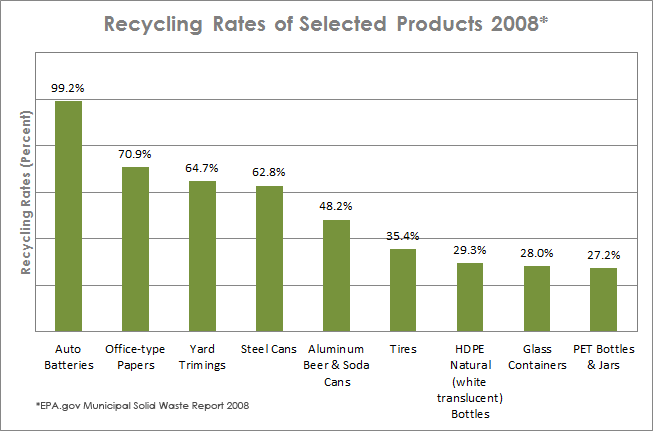 Zarc Recycling, LLC has been recycling in the Bay Area for the past 6 years. As a certified CRV recycler by the State of California, we offer a comprehensive array of recycling needs with vast experience in the industry. We pay for CRV (California Redemption Value) on Aluminum and Plastic bottles purchased and consumed in California. Furthermore, containers not purchased here in California still hold scrap values. We pay for Aluminum (Soda Cans | Beer Cans) as well as Plastics (Plastic #1 (PETE) | Plastic #2 (Clear HDPE) | Plastic #2 (Color HDPE) | Plastic #5 | (Polypropylene) | Plastic #6 (Polystyrene) | Plastic #7) at a reduce rate that does not contain CRV.